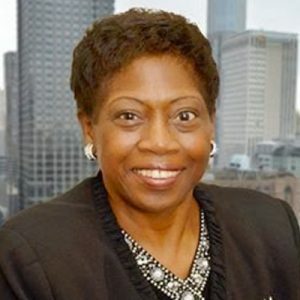 Mary Alice Melchor has been the Inspector General for the Clerk of the Circuit Court of Cook County since 2005 where she supervises investigations and audits in the Clerk’s Office. Serving her first term this year as a WBAI director, Mary has been involved in the Women’s Bar Association, as well as several other bar associations, her entire law career. Mary has also served as the treasurer for the Women’s Bar Foundation since 2007, managing over $1.5 million in assets. As a member of WBF, Mary has been involved in the Rise Up Reach Back luncheons co-sponsored by WBAI/WBF. Mary loves working with seniors and youth, bargain shopping, and volunteering at her church, where she serves as treasurer on its board of directors.